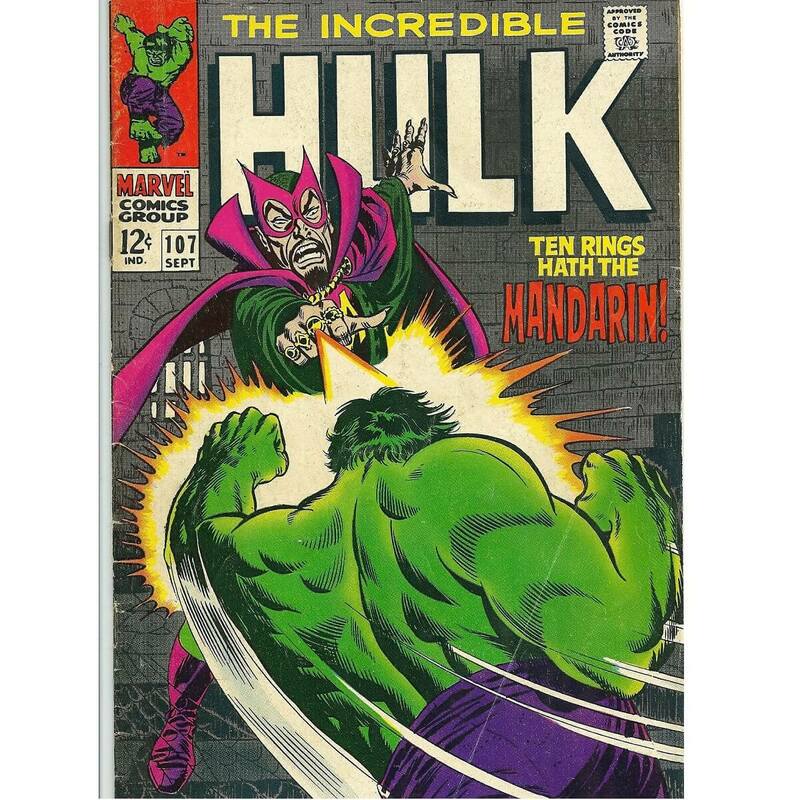 Comics are now widely available in digital format, which sequential image viewer software first established. 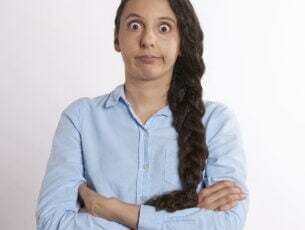 As such, there are numerous software packages with which you can open and flick through comics in Windows, Mac OS X, Linux and other platforms. Those programs support archived comic book file formats such as CBZ, CBR and CB7. These are some of the best digital comic book readers for Windows 10. Icecream Ebook Reader is the right choice for you if you’re an occasional comic reader. The app also packs some very useful features that allow you better manage your library of comic books. 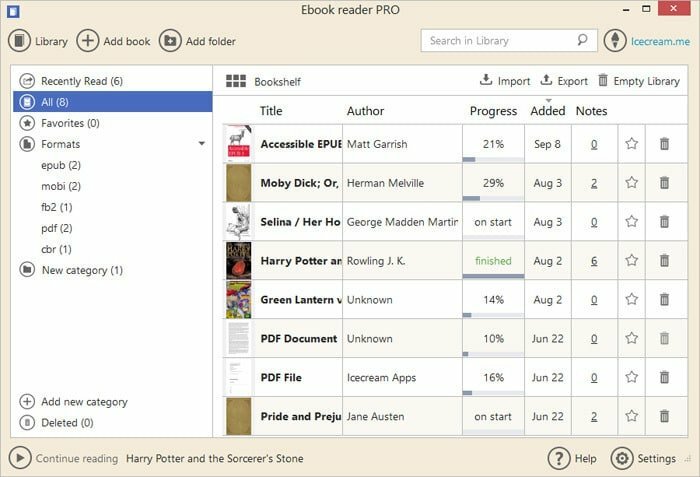 Other reading features include single and double-page support, full screen reading, zoom, page navigation, continue from where you left off, and more. The supported formats should be enough to allow you to read common comic book file formats (CBR and CBZ, FB2, EPUB, PDF, MOBI and more). You can also add notes or highlight text if you like a particular page and you would like to read it again. Bookmarks are also supported. If you’re reading a comic book that’s not in a language you speak, you can use the copy, translate and search options to select the text, copy it and translate it or search Google. This tool supports night mode as well, which is perfect is you often read in low light. ComicRack’s website boasts that this program is the “best comic reader in the world.” ComicRack is certainly one of the most highly rated software packages for opening digital comics with. It includes a full-screen mode with numerous zoom modes, database management options, multiple view formats, customizable hotkeys and more besides. This is freeware you can add to Windows, iOS and Android platforms from this website page. ComicRack is one of the best comic viewers as it supports a variety of formats such as CBZ, PDF, CBR, RAR, TAR, ZIP, CB7 and CBT. As such, you can open a larger number of comics with this software than most alternatives; and as ComicRack supports ZIP and RAR you don’t need to unpack comic book files. Its batch conversion option is also a great addition that enables users to archive a number of comics in a CBZ, CBT or CB7 file and then export them to other devices. ComicRack also has an intuitive multi-tab UI. So this enables you to open multiple comics in the same window. 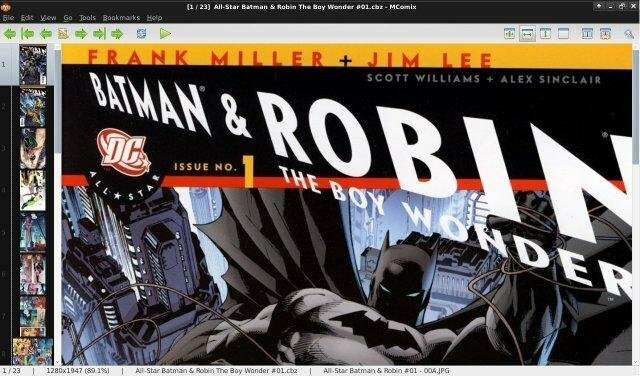 ComicRack’s UI is customizable and includes advanced navigation options such as an integrated Explorer window, and it’s easy to organize comic collections with the robust library. MComix is a fork of the Comix image viewer. The MComix comic book reader has got better and better with more regular updates. This is open-source software compatible with both Windows and Linux. Click Download on this Sourceforge page to save its installer. Note that it’s also a portable program you can run from USB sticks. 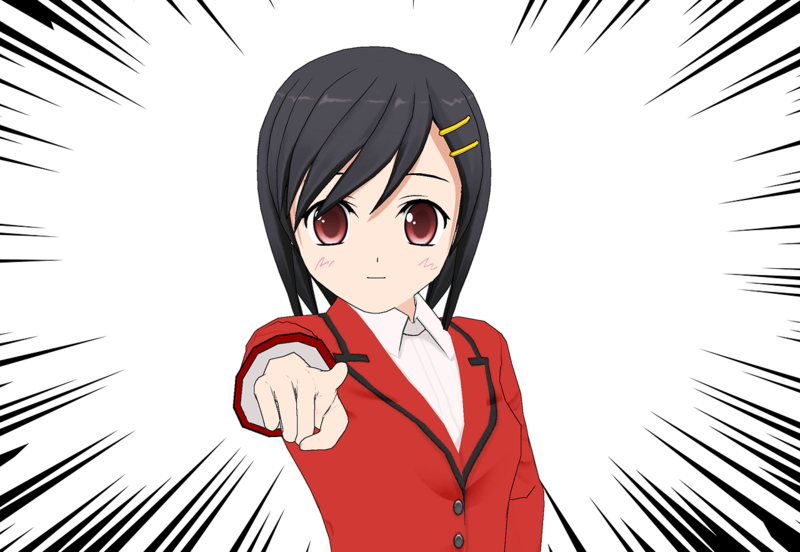 The developers have designed MComix to open both Western and manga comics in a various archive formats such as CBZ, CBR, CBT, PDF, ZIP and RAR. 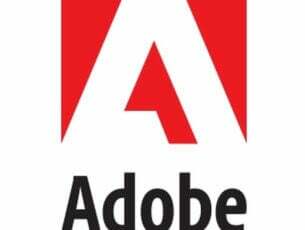 It also supports JPEG, PNG and GIF image file formats. One great thing about this program is its intuitive UI layout that displays comic page thumbnails running down the left of the window with a large pane on the right that includes the current page. Users can reconfigure the UI by removing toolbars, adjusting thumbnail scales, selecting background colors and choosing UI parts to include in full-screen mode. 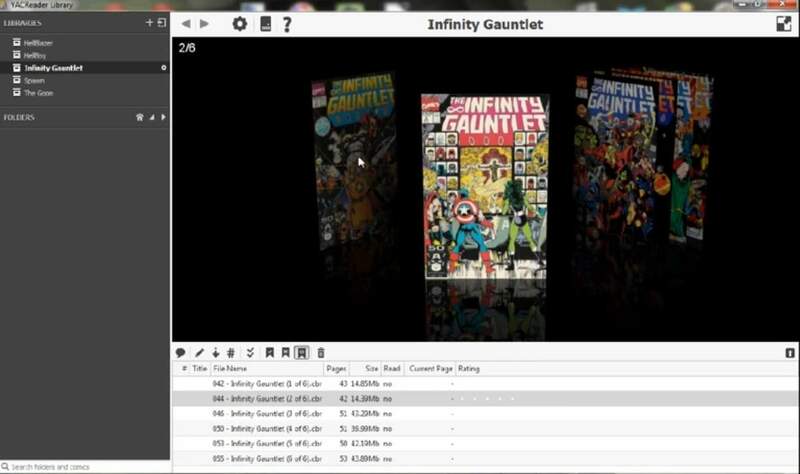 MComix also gives users multiple comic views such as double-page, fit image to window or manual zoom modes. Image tools to enhance pictures with, bookmark support and customizable slideshows are a few more of the great things MComix includes. 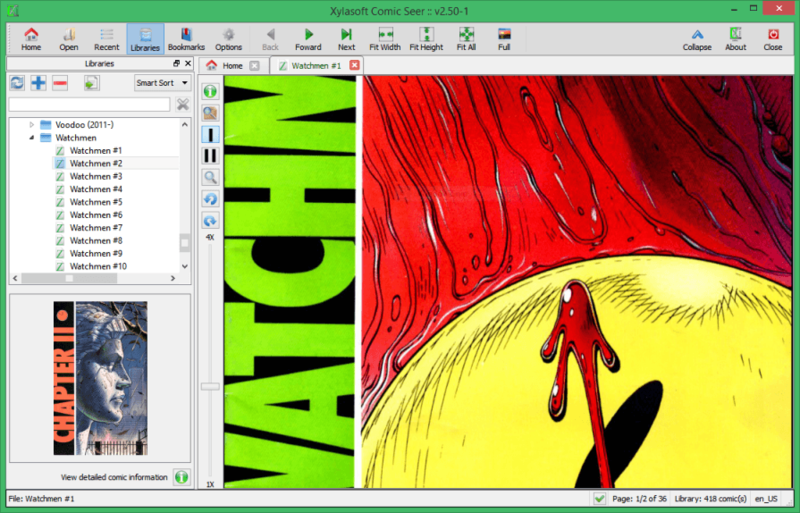 Comic Seer is multiplatform software freely available for Windows and Linux that has an effective UI design and reasonably extensive options. There’s also a Windows app version you can add to tablets. Click Windows x86 and x64 on this Web page to save the desktop setup wizard to Windows 10. With this software users can open CBZ, CBR, RAR and ZIP graphical novel file formats. The program has a straightforward UI that incorporates a tabbed navigation panel with which you can open seven comics in one window. The main viewer includes handy rotate, zoom, double or single page display and Browse mode options. Comic Seer also includes a library management panel for you to set up and organize comic book databases with. The program also automatically saves and reloads comics if you don’t close their files much the same as Chrome restores the previous browsing session tabs. This can come in handy as it saves you opening the comics again each time you restart the software. Furthermore, Comic Seer even restores the last-read pages of comics that you close before exiting the software. YacReader is a comic book reader freely available for Windows, Mac OS X and Linux that has had some glowing reviews. You can add this program to desktops and laptops from this website page. There’s also a YacReader Portable version for you to add to USB sticks and other external storage. YacReader can open comics and magazines with RAR, CBR, CBZ, TAR, PDF and CB7 archive formats and image files. The software also includes plenty of customizable hotkeys for quicker navigation, image adjustment options, a translator dictionary and bookmarks for comics. 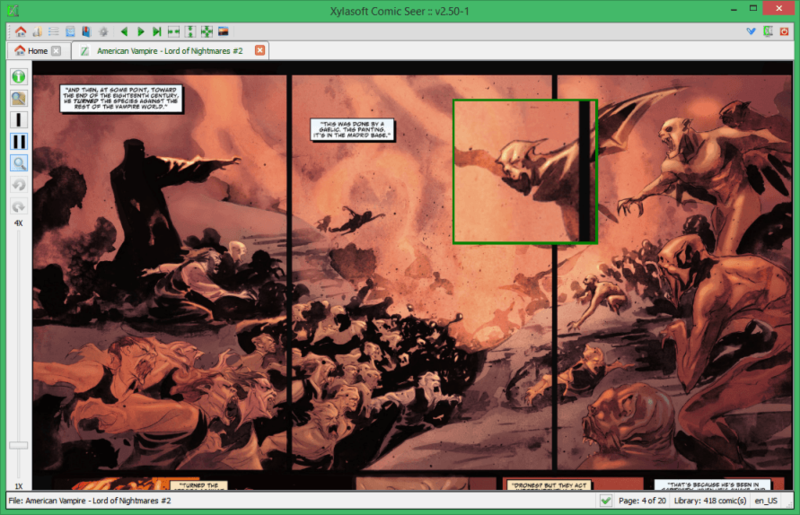 The program has a stripped down UI with minimal toolbars that preserves as much window space for the comic display as possible. 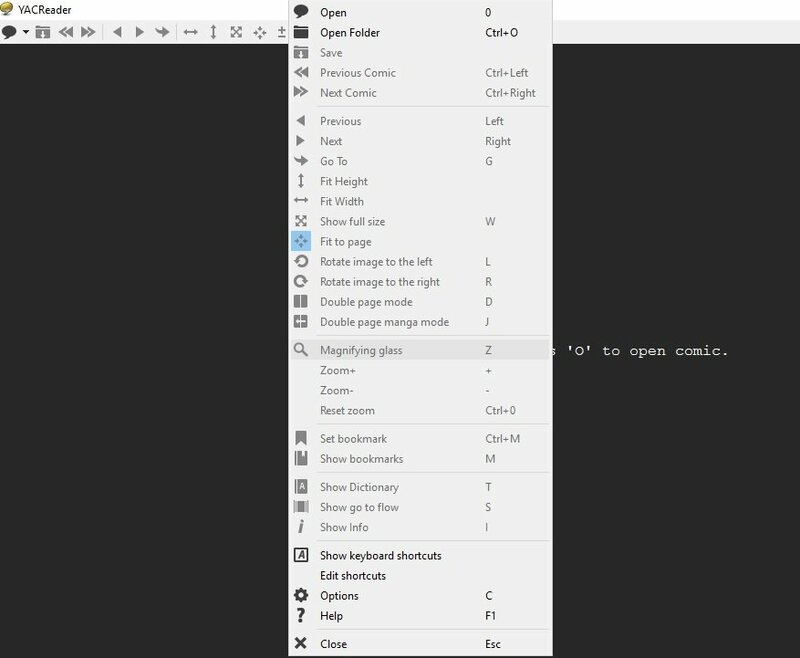 As such, you can select a lot of YacReader’s options from the context menu shown in the snapshot directly below. YacReader also incorporates novel comic flow transitions into its library manager. These are transition effects displayed when you scroll through cover thumbnails as in the snapshot below. You can select five alternative effects from the Page Flow tab such as Classic, Stripe and Roulette Look; and each page flow has advanced customization settings. Manga are Japanese comics, and MangaMeeya (otherwise MMCE) is software more specifically designed for manga. As this is a portable tool no installation is required. Click Download on this page to save the MMCE Zip to Windows. Even though the developers designed MMCE for displaying manga, you can still open all types of comics as it supports several image formats and CBR, CBZ, ZIP and RAR archives. MangaMeeya has a quite a few options for users to explore such as three comic display modes, a slideshow mode, filters and aspect ratio configuration. It includes a page-flipping animation effects, which is a good touch. 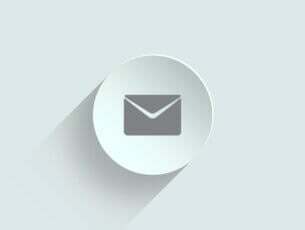 As a lightweight application with minimal system requirements, MMCE is a stable and fast program. The one notable thing MangaMeeya lacks is library management options, but aside from that it’s a solid comic book reader. UPDATE: The MangaMeeya download website is now under maintenance. We’ll update this guide as soon as the tool can be downloaded again. So now you can open your favorite digital comics with the above software. Those programs support most archive formats and include extensive display and image adjustment options. Note that you can also open comics with some ePub readers, but they probably lack some of the options found in YacReader, MangaMeeya, Comic Seer, MComix and ComicRack. Editor’s Note: This post was originally published in November 2016 and has been since updated for freshness, and accuracy.